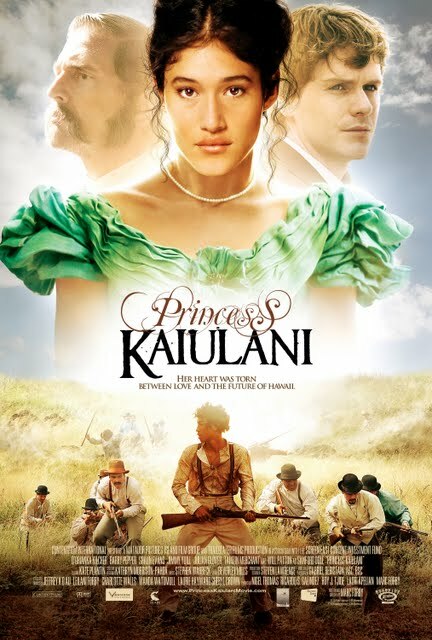 With a behind-the-scenes team that includes such proven technicians as Green Mile cinematographer Gabriel Beristain and Titanic production designer Steven Lawrence, if nothing else, first-time writer/director Marc Forby's Princess Kaiulani is gorgeous to look at. And this is particularly beneficial because, although we're fascinated by the plight of Hawaii's young princess who tries to fight against the forceful annexation of her island nation by the United States, overall, not enough happens in the impossibly short life of the woman known as both Kaiulani and Victoria to keep us interested in a succinct running time that somehow feels double the length. Starring The New World's Pocahontas, Q'orianka Kilcher as the eponymous Hawaiian heroine born to a native mother and Scottish father, Forby's film suffers from an old-fashioned, plot-weakening narration that tells us what we should be witnessing with our eyes as a film rather than as a guided museum tour. Essentially, there's minimal conflict as shown from Kaiulani's point-of-view since her father (Jimmy Yuill) hides her with family friends in England during the take-over years before she finally returns to her country to plead for equal rights for her kanaka (people). Thus we begin wondering if perhaps the unjust, violent and manipulative end of the monarchy and greedy usurp of power wouldn't have struck us with far more force had we been presented with the war and rebellion from another perspective. This is especially the case since, for a bulk of the film, the only “job” Kaiulani has is to simply fall in love with the English family's handsome son Clive (Shaun Evans), look for seashells and go to school. Given the amount of research that the filmmaker and those involved with the film's production underwent, I'm positive that an incredibly stirring film could've been made with the material. Yet unfortunately, it makes you just sit back and view the work like an artifact in a museum case, with very little personal investment in the tale other than trying not to fall asleep and wondering if perhaps a chat with the folks who produce specials for the History Channel may have helped keep things moving at a more successful rate.